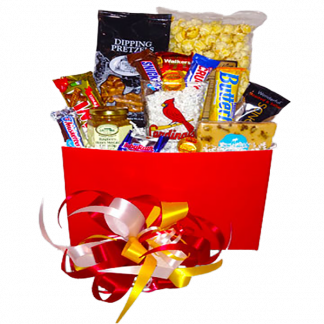 Take me out for some treats with this box of sweetness. 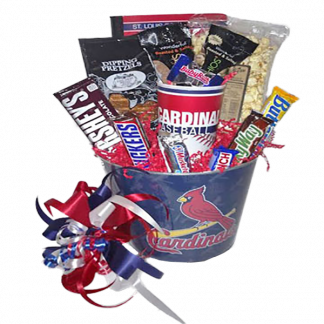 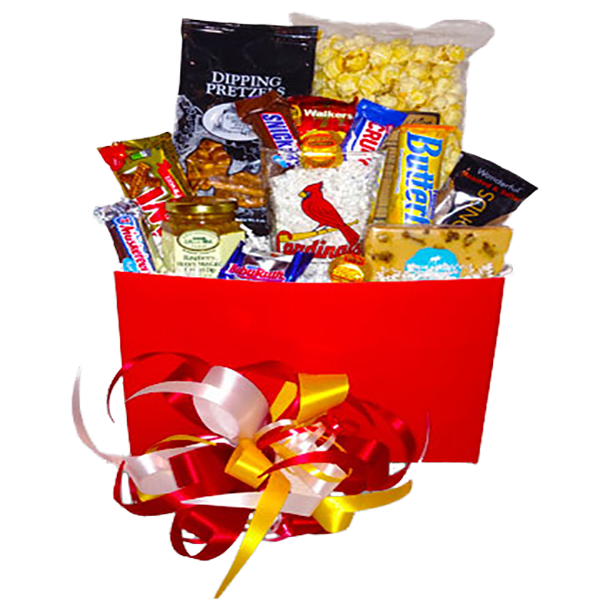 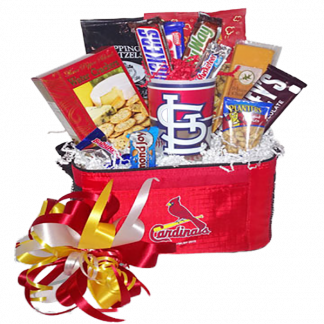 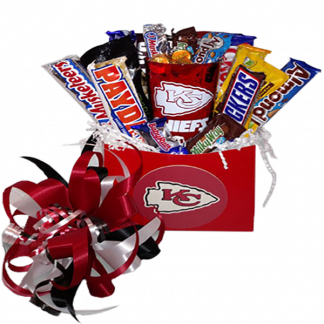 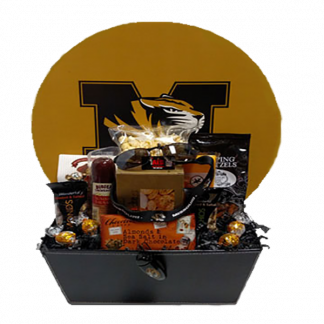 Includes a 16oz pint size Cardinals glass, dipping pretzels and raspberry honey mustard dip, popcorn, fudge, almonds, cookies, and candy bars. Substitutions of equal or greater value.